Bill Coughlan of Coughlan Companies - parent company of Capstone in Mankato - was a key partner starting SMIF’s BookStart Program. He was joined by Christie Skilbred, Corporate Giving and Literacy Center Manager at Capstone and Gail Beer, Vice President of Customer Relations & Fulfillment, Capstone. Bill, you were really instrumental in creating SMIF’s BookStart program, which places thousands of books in the hands of southern Minnesota kids and families each year. What initially made you want to start this program? I may have helped spearhead the BookStart program, but it really represents all Capstone employees, since it’s a group effort. I was approached by SMIF, who knew of our book partnership with the United Way, “Books for Kids" program, which provides free books and parenting resources to families in the region. Why do you feel early literacy is important? Literacy is one of the building blocks of lifelong success. Capstone recognizes the power of literacy in helping children achieve their full potential, and we know that can start with just one book. Every child is a reader when matched with the right book. When I was growing up, I could only read about 100 words per minute. Then one of the nuns who was my teacher, Sister Brunetta, came along and increased that to 1,000 words per minute through a speed reading program. Why did you think SMIF would be a good partner for BookStart? SMIF represents southern Minnesota – our neighbors and our communities. We feel BookStart is a solid program with accountability and idea sharing. The creativity and passion that the grant recipients (teachers and child care providers) demonstrate every year amazes me. 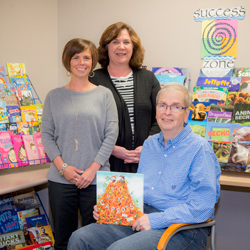 The Coughlan Family (Bob and Jim Coughlan acquired Capstone Press in 1990), has a long history in the Mankato area. What keeps you in this community, or what are some of your favorite things about living and working here? Mankato is a nice town, with great people. All my family and friends keep me here. The history and legacy of Coughlan Companies runs deep; the Coughlans have been in the community and surrounding area for over 125 years. If you live here all your life, you get to know everyone. My brothers, Bob and Jim Coughlan, acquired Capstone, which celebrates its 25th anniversary this year. We have a history of entrepreneurs and innovation. Throughout our 14 year partnership, we’ve distributed nearly 90,000 Capstone books. Why do you think it’s important for companies as large and successful as Coughlan to give back to the larger community? It’s a way to support our employees and their children, to support all of the surrounding communities, regardless of their size or population, and to create a company culture of giving. We believe in giving back to our communities through our volunteer time, scholarships and grants, and donations. Doing social good is an integral part of Capstone’s culture and I couldn’t be more proud of our employees in all of our offices for their generosity. We encourage all employees to participate in charitable giving, which is deeply ingrained in Coughlan Companies’ corporate core values. It’s very fulfilling to be part of an organization making positive changes in the community. 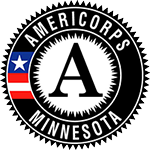 What do you look forward to for the future of southern Minnesota? I hope we don’t lose our agricultural roots, or our focus on small businesses or education. We also need to continue to innovate; Capstone programs like myON™, an online literacy program, are helping kids not just here in Minnesota, but all over the world.